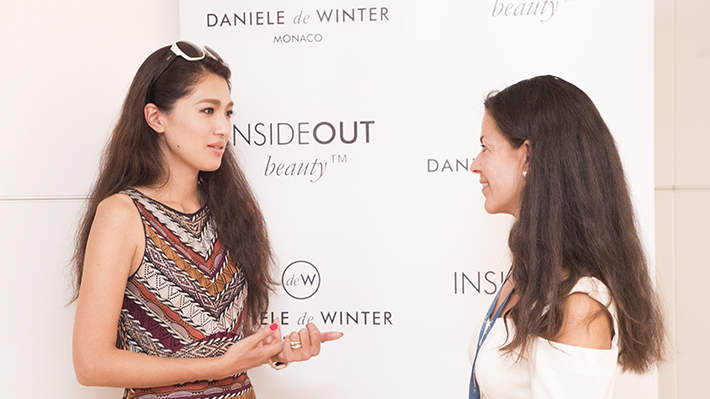 I met the founder of Daniele de Winter, purveyor of skincare products to Monaco society! 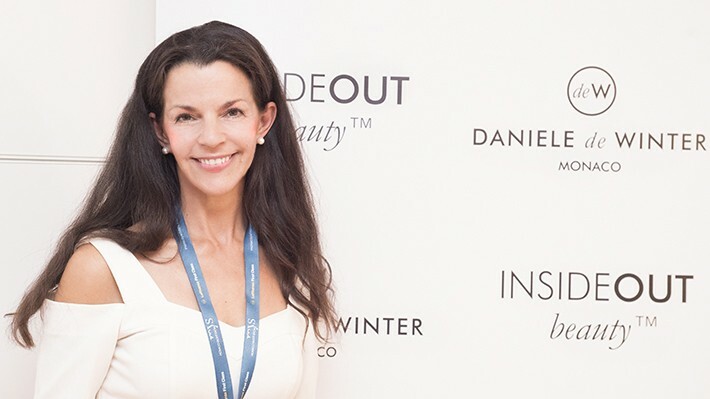 Advocating the concept of total beauty of the mind and body from within, Daniele de Winter is a skincare brand that not only assists in conditioning the skin, but also aids in achieving a healthy body. This new method has captured the hearts of celebrities worldwide, and the brand has garnered rave reviews even in Japan, with fashion and beauty maven Towako Kimijima writing about it in her book. I heard that Daniele de Winter was an official health and beauty partner of the Yacht Show so I immediately asked the founder for an interview! 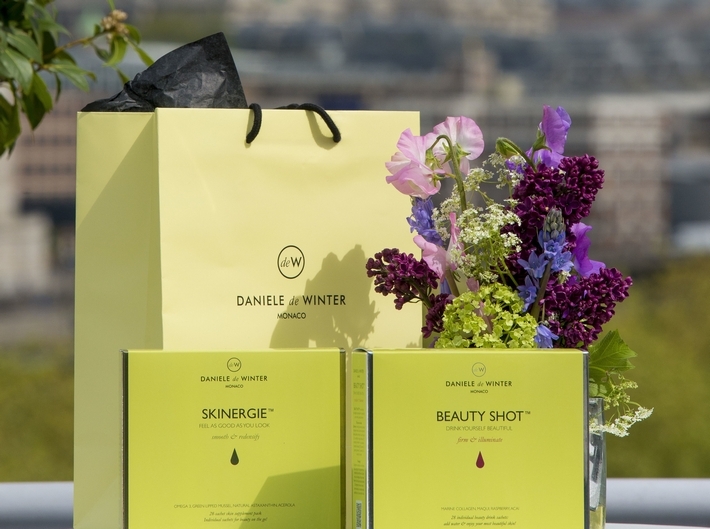 What kind of a skincare brand is Daniele de Winter? It’s a brand aiming for “INSIDE OUT beauty.” It incorporates medicine, nutritional science, phytotherapy and others, and is based on the research of my father who was a pioneer in preventive medicine. All of our skincare products and supplements use the purest, natural ingredients, are made in accordance with guidelines for organic products and do not contain artificial colors nor fragrances. Of course we also do not use genetically modified organisms. What prompted you to start a skincare brand? My father, who was a doctor, was a big influence. From an early age, I had an interest in his work as a cancer treatment specialist. Even if cancer is completely eliminated at one point, it can recur. So I thought if that were the case, instead of treatment, what was needed were improvements in lifestyle and I began my own research. I then published the first results of that research in a healthy recipe book when I was fifteen. At twenty-one, I wrote my book “Eat Yourself Beautiful.” As my research continued, I realized that a lifestyle tailored for health is very effective for beauty. The book was very successful in the United States where it was published and I even appeared on talk shows. As I began receiving a lot of questions from audience members in those talk shows, I started wanting to make products for ordinary people that they can easily adopt. This is why our products are very simple. Becoming beautiful is actually a very simple thing. I really hope people would try our products. Photo on the left: The “Yacht Kit” is prescribed for protecting the body from strong sunlight. It contains very powerful, 100% natural antioxidants and is essential for the enjoyment of yachting. Photo on the right: “Beauty Shot” assumes the function of caring for your beauty from within by stimulating the production of new skin cells and collagen deep inside the skin; it allows you to fully experience the beauty philosophy of Daniele de Winter. Containing only raw, super-antioxidant fruit and vegetable ingredients (without any added colours or flavours), Beauty Shot is a powder that you dissolve in water and drink. While it is easy to take, it contains 13 kinds of ingredients! A blend of coenzyme Q10 collected from the natural world, marine collagen, the super fruit raspberry and other scientifically researched, highly effective ingredients, it also has an excellent taste! I would really like to continue taking this.